The first major milestone in the construction of Nexans’ new DP3 cable laying vessel, the C/S Aurora, was passed Monday with the cutting of the first steel. “This is a proud moment for Nexans and an important milestone for the organization. With this modernization we will further strengthen our ability to deliver green power for the future”, said Vincent Dessale, Senior Executive VP Subsea and Land Systems Business Group at Nexans. “Aurora will play a key role in the installation of our cutting-edge submarine cables to help bring more energy to the world, connect offshore wind farms to the grid, support electrification of offshore petroleum installations and create interconnectors between countries”, said Vincent Dessale. 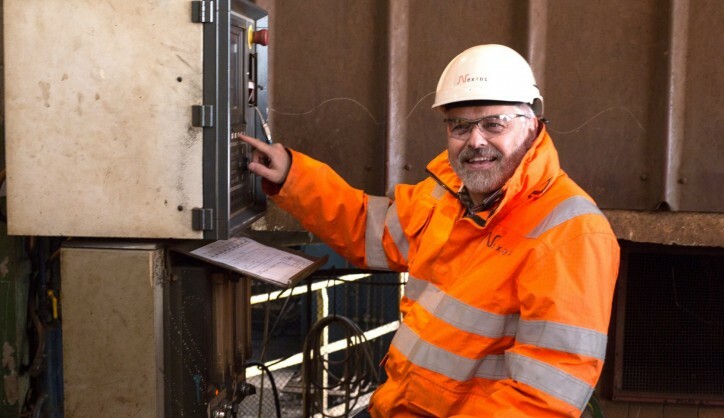 Caption: Knut Flage, Vessel Operations Manager in Nexans, got the honor of starting the steel cutting process on Nexans' new flagship C/S Aurora. The hull is being built at Crist, Poland, while the engineering, outfitting and system integration, equipment preparations, testing, sea trials and finalising will be carried out at Ulstein Verft, Norway. The ST-297 CLV is designed by Skipsteknisk. 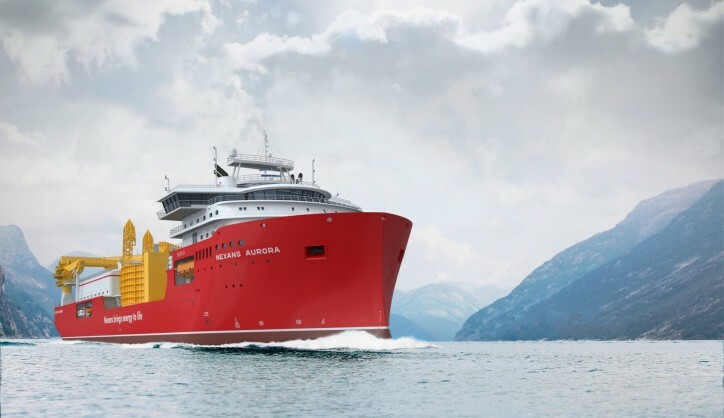 The shipbuilding contract of Nexans next flag ship was announced in July, 2018, and Ulstein Group CEO, Gunvor Ulstein, expressed Ulstein’s gratitude: “We have a strong organisation with long experience in delivering advanced vessels, and we look forward to a constructive and fruitful cooperation with Nexans in the years to come”. Caption: And the heat is on! 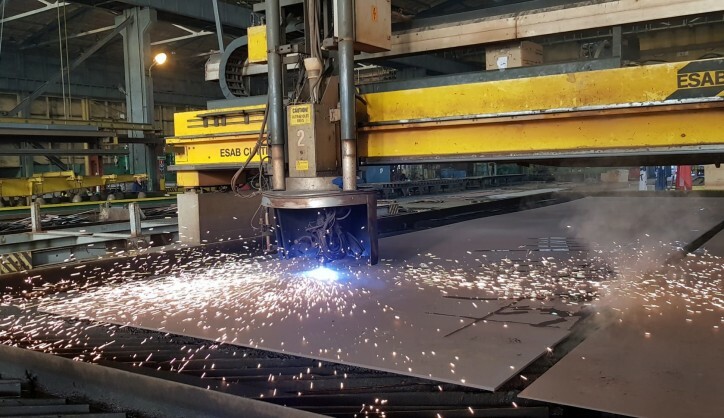 First steel cut at Nexans' C/S Aurora! The vessel will be outfitted for power cable laying, including bundle laying, cable jointing, repair, cable system protection and trenching. She will be delivered in 2021. 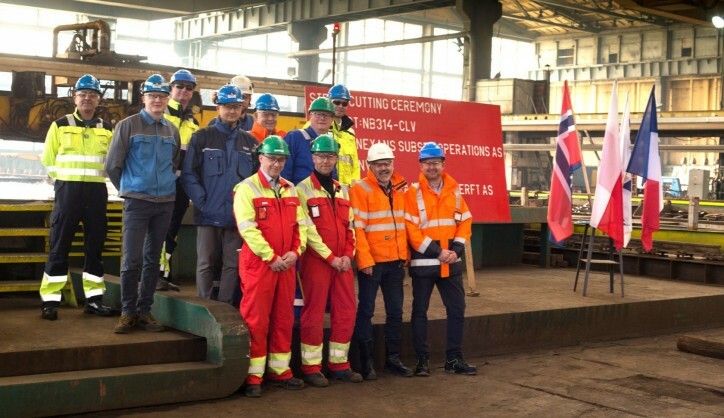 Caption: Representatives from Nexans, Crist and Ulstein Verft at the steel cutting ceremony.